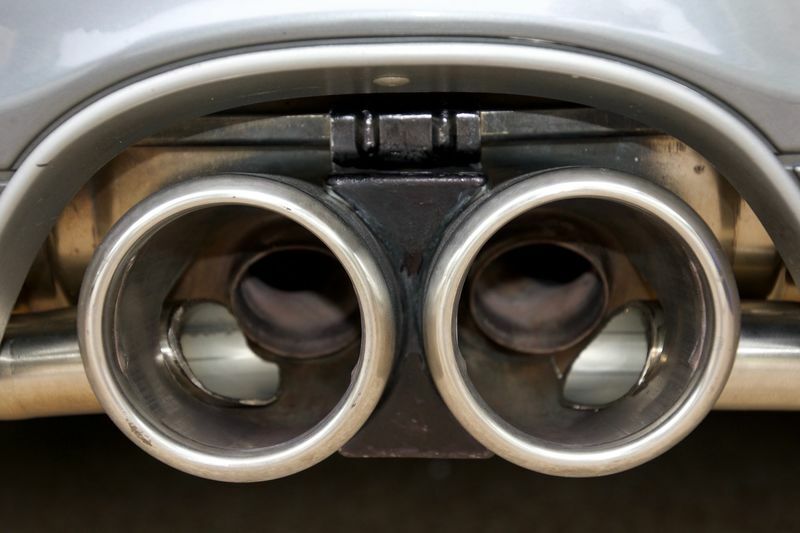 I know the issue of exhaust bypass on the 986 has had a lot of discussion over the years, but I took a different approach to it and I thought I'd let readers know about it. I wanted to do it, but was afraid that I might not like the sound; maybe too loud. The question was to use 1", 1 1/4" or 1 1/2" stainless steel tubing. Obviously, making the wrong choice would involve a complete do over! 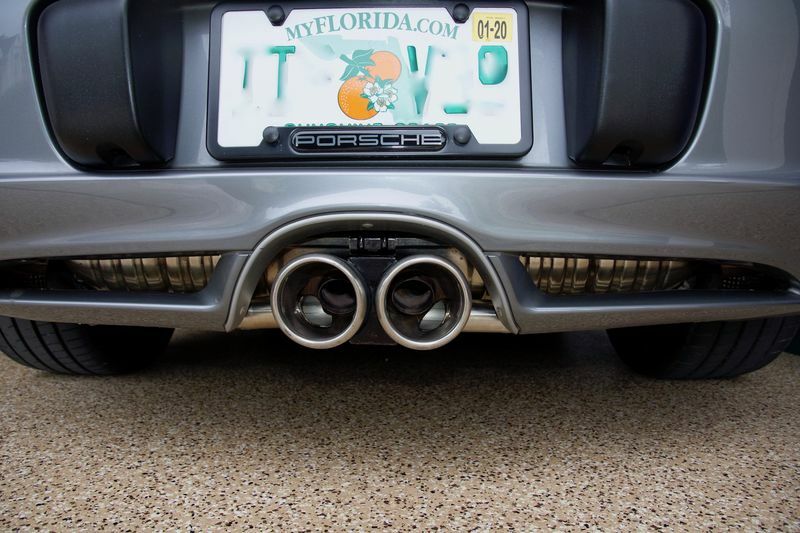 I pondered using the 1 1/2" pipe with electric cutout valves which have a range of adjustment, but the better valves are expensive and would be hard to install because they are rather large and also don't match the diameter of the Boxster exhaust pipes further complicating the installation. I decided to use a 1" stainless bolt and weld a jam nut onto each side the bypass inlet pipe. I rounded off the bottom of the bolt so it matched the contour of the inside of the pipe. Another jam nut was used to lock in place. The head of the bolt was also cut off. Not that I needed to, but just to clean it up a bit. When fully extend into the pipe I estimate that it creates about a 75% restriction. I can move the bolt up and down increasing and decreasing the the amount of resistance in the 1 1/2" pipe and also the sound. 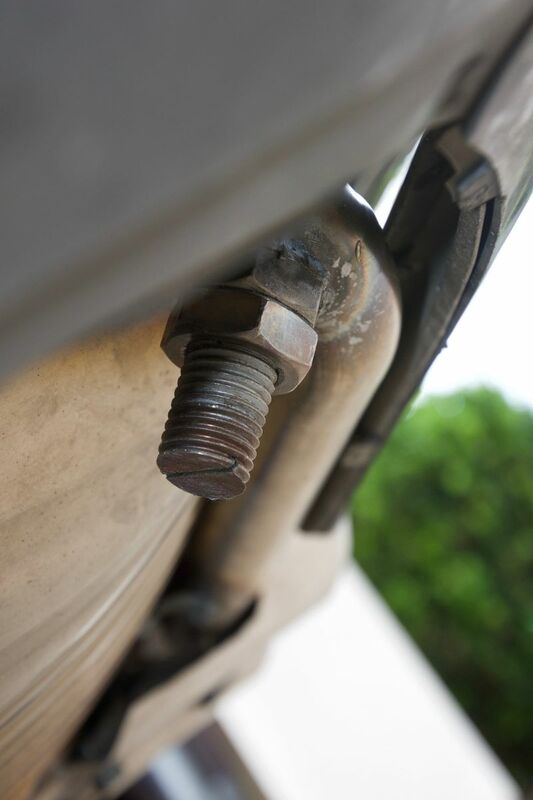 Just count the turns on the bolt so both sides are adjusted equally. I really like it. Fully open it has a nice throaty sound at idle and lower rpms. At high rpms it really screams. Fully closed it sounds only slight different from stock. In the middle, obviously somewhere in between. I really like the mod overall. Those that have already done the mod who wanted to back off on it from time to time could easily add this to existing pipes. In addition, the 2004 Boxster S has removable tips. So I had the bypass pipe welded to the back of the muffler and had the tips sloted in the back so they could still be removed. Last edited by walterlh; 05-07-2018 at 06:25 AM. Would you mind sharing amount labor for the job? I am going to call me mechanic tomorrow to discuss with him. Just wanted to understand approximate cost I should expect. I'm guessing 2-3 hours of labor? My fabricator charged me for 3 hours labor. He said the most amount of time was cutting and fitting the pipes to the exhaust tips. I have double walled removable tips and I wanted them to remain removable after the mod. He had to slot them toward the rear so they would slip on and off. It took a lot of careful grinding work to do it. Otherwise you could just drill a hole in the side of the tip and tack weld the pipe to it like many have done. I used this:Stainless Steel 304L Welded Round Tubing, 1-1/2 OD, 1.37" ID, 0.065" Wall. Get the 304L for best weld stainless to stainless.